How to Be Southern: Classic Fried Chicken – Eat Me. 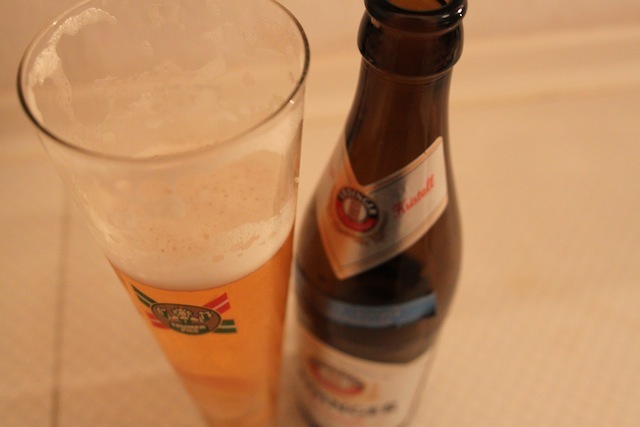 Drink Me. I want to be a Southern grandma when I grow up. I want to have a sweet drawl and spoil my grandchildren and make fried chicken every day. Not just any fried chicken. This fried chicken. This crisp on the outside, meltingly soft on the inside, salty and a little bit spicy fried chicken. I love when you have one of those moments where you’ve built something up so high that you know it can never be as good again – like a trip to your favorite childhood city or heroin – and then it’s just as great as you remember. The heroin is hearsay, I promise. 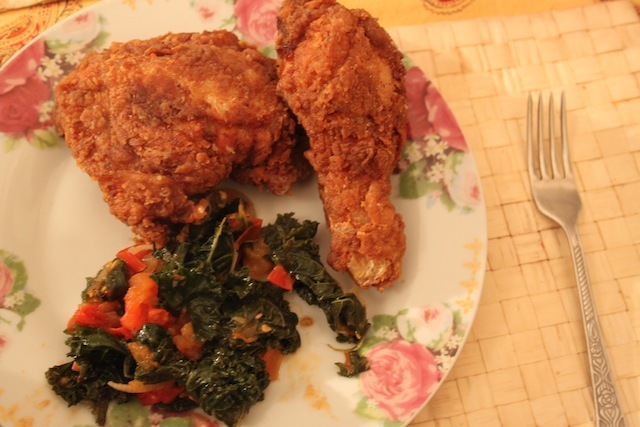 This fried chicken is like that – Jamie and I made it a few summers ago (two?) in Brooklyn. We’d had one too many sweet tea vodka cocktails on the back porch while we gossiped like old ladies about everyone we knew and forgot the chicken we’d left to brine up in the kitchen. Late in the evening, when the summer sun was already starting to set, we remembered that the actual goal of the evening was to fry the chicken, not just bathe it. We swept our thoroughly brined chicken through buttermilk and a dredge of flour, salt, pepper, and Jamaican jerk seasoning, then fried it in a pan of hot oil. 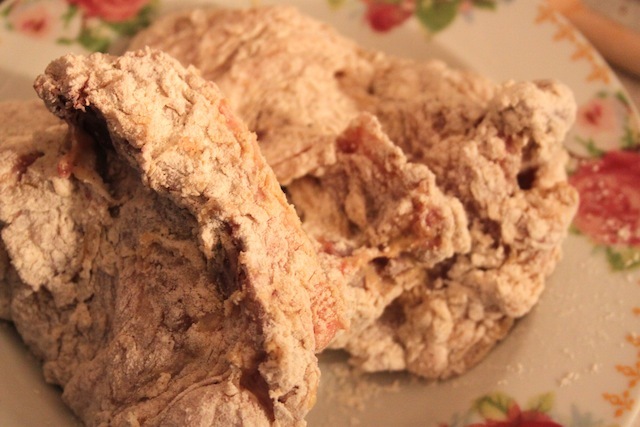 A crisp crust cracking open to reveal a steamy pocket of juicy meat – it was the best fried chicken I’ve ever had. Jamie came to visit me in Berlin for Thanksgiving this year. I guess you can’t call two years in a row a true tradition, but it already feels like one. Of course we roasted a turkey and made all the traditional fixin’s – and this year, Jamie even brought a bag of marshmallows and a can of cranberry stuffing across the ocean – but what I really, really wanted to re-create was that fried chicken. I have to admit that Jamie orchestrated most of the frying. 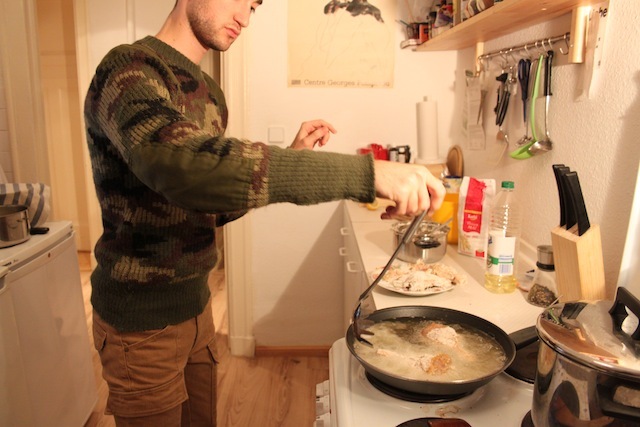 I’m not sure whether or not I am capable of making fried chicken as delectable without Jamie by my side. But probably: This time, I’d had fewer sweet tea vodka cocktails and paid closer attention. 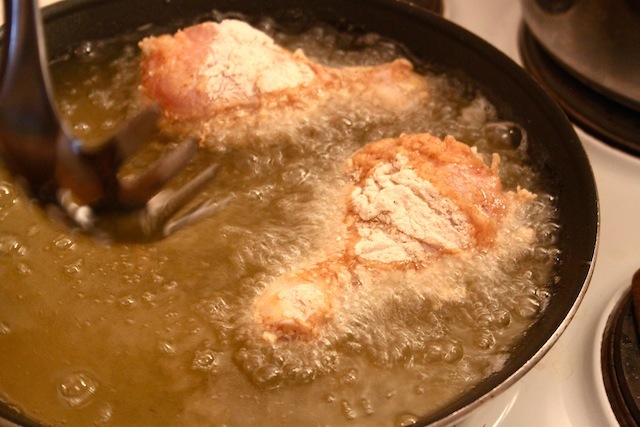 Successful fried chicken requires patience and a fearlessness of hot oil. I have very little of either. 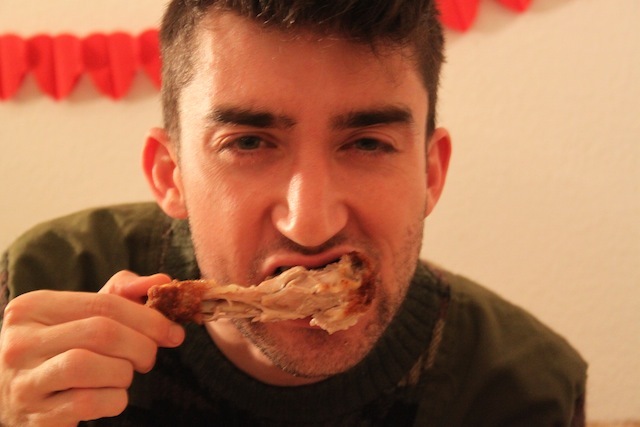 But I do love fried chicken, and one does overcome in the name of love. This is a recipe that will stay with me for the rest of my life. Because once you’ve stood in front of a stove watching batter-bundled chicken legs crust golden, you can never go back to eating someone else’s fried chicken. And you too, will want to be a Southern grandma. Just for the chicken. And maybe the drawl. 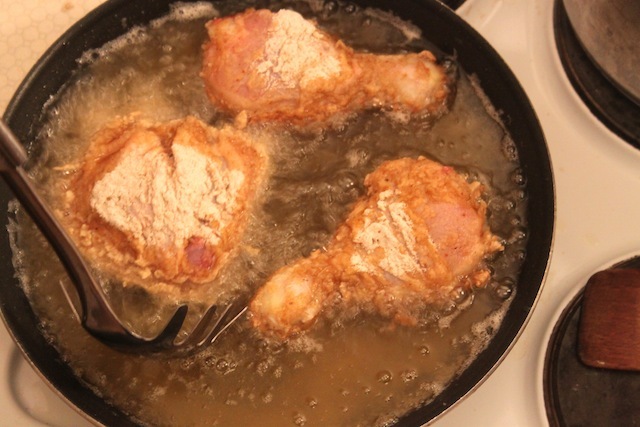 Fried chicken is best from a cast iron skillet, but if you don’t happen to have one, another skillet will do. Cut up your chicken into standard fry-able chunks (or purchase your favorite cuts of chicken to fry). Cover with water and a healthy dose of salt and brine for at least half an hour. When your chicken has finished brining, remove it from the water and pat dry with a paper towel. Blend the dry ingredients well: flour, peppers, and Jamaican jerk seasoning. 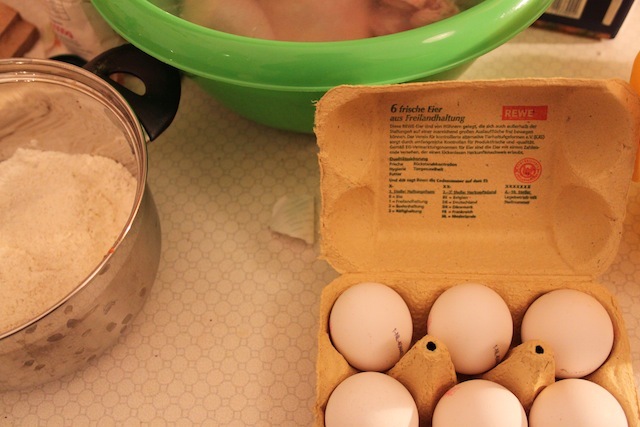 Dip each piece of chicken first in buttermilk, then eggs, and then your flour dredge. When you’ve finished dredging each of your pieces, repeat the process. 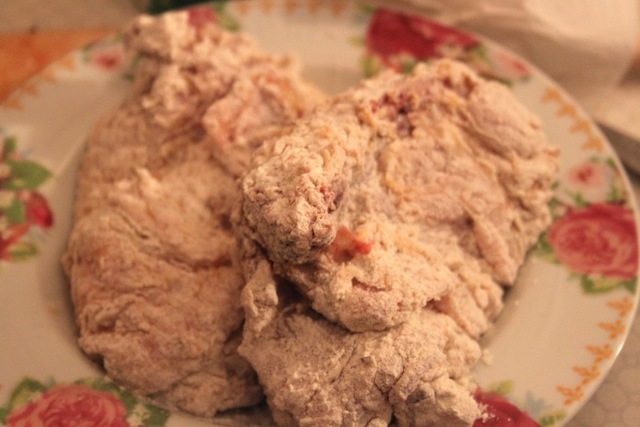 If any chicken still shows through the dredge, fill in the gaps with more of the flour mixture. In the meantime, pour two inches of vegetable oil into a skillet. When the oil instantly begins to bubble around a wooden spoon you’ve stuck in the oil, or the water snaps back at you when you flick it in the skillet, your oil is hot enough. If your oil isn’t hot enough, your chicken will soak up too much fat and taste oily. No bueno. Place chicken in hot oil, being sure not to overcrowd the skillet. Cook without turning for 7 minutes, or until crust has crisped and turned golden-brown. Turn chicken, cooking for 7 minutes on other side. Test for doneness by cutting into a piece with a sharp knife (Jamie and I called these “love cuts”) to see whether there’s any pinkness or blood. If so, continue to cook chicken, rotating it in the skillet a bit, until the meat is cooked through. Generally, large pieces will cook slower than small pieces and dark takes longer than white. When your chicken is cooked through, pull it out of the oil and set it on a plate covered with paper towels. Sprinkle with salt and allow to cool a bit before eating. Or not, and burn your fingers. If you have more chicken, repeat the process, making sure to wait for the oil to heat up again. Honey, you will make a wonderful southern grandma – sorry I won’t be here to watch you. No matter where you live, you can lay your claim to being southern because of your grandparents and all your visits here. I will try to drawl more when y’all come to set the stage. That chicken looks perfect! Sounds like a deal to me!